Alison relishes the wonderful relationship she has with horses, calling them amazing animals that have the capacity to make her very happy. 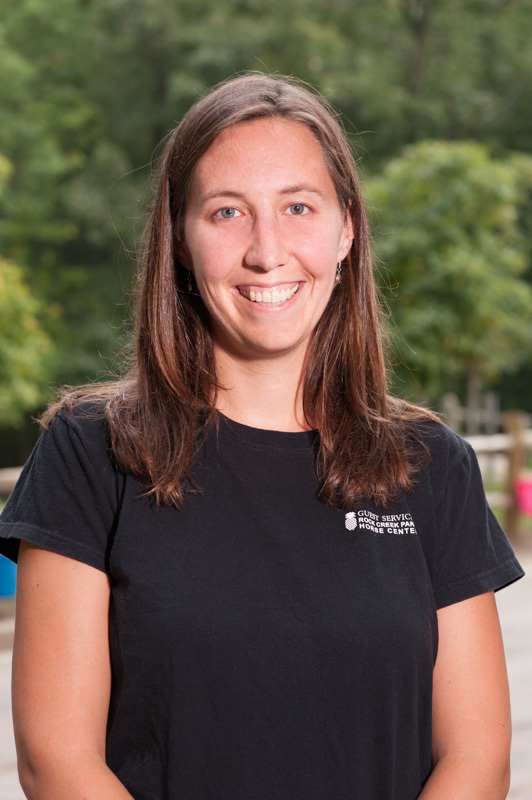 Colleagues and students find Alison to be helpful, hardworking and detail oriented, which makes her an ideal instructor for beginners and anyone who wants to learn the basics of horseback riding. Passions: Zoe (her daughter), horses, photography, art, the beach, and her dog and cat. 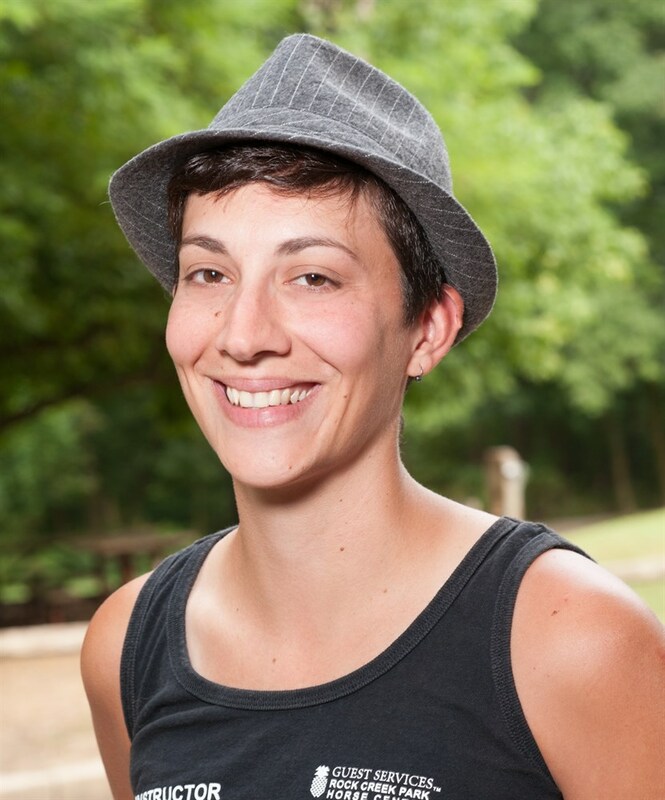 Amber, our General Manager, brings a dynamic and even-keeled approach to her lessons. Known as a fun and compassionate instructor, she believes in building a relationship of trust and collaboration between horse and rider. She enjoys teaching students who are willing to go slow and take the time to get the details right. She teaches Centered Riding and Balance Seat. Amber recalls that horses did not come into her life; she came into theirs. Her father, a trainer and farrier, and her mother, an accomplished rider, always had horses on the farm. Through her childhood her dad would tell her, “You have to keep the house in sight,” and Amber would ride out as far as possible to a hilltop where, standing up on tip-toes in the stirrups, she could just see the house and keep her promise. She recalls that during middle school she would go riding with her mom every day. Once they got caught out in a snow squall so intense that they couldn’t see their horses’ ears. When the storm finally died down, they were in a snow drift up to the horses shoulders. Amber has been teaching for over 20 years, holds an M.A. 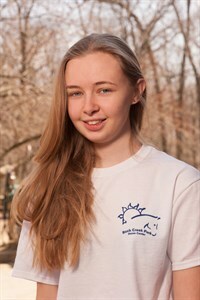 in English and Literature and is a certified riding instructor with the Riding Instructor Association. Fun Fact: Amber is also passionate about her kids and the ocean. Andrea started young with ‘horse’ as her very first word. 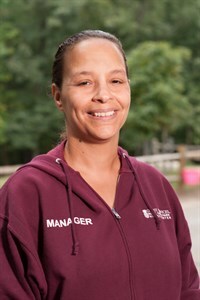 She works at Rock Creek as both an instructor and a member of the barn staff, and has been teaching here for eight years. 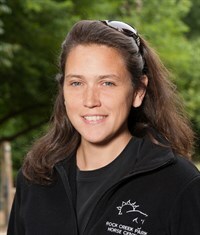 She is passionate about horse’s health and behavior; much of her life revolves around horses 24/7. She competes in the hunter and jumper ring, and also participates in endurance races. Andrea is a dedicated, witty and versatile instructor. In her own words Andrea believes “Everyone should have fun, and advance to the best of their potential within that boundary.” Andreas teaches with a hunter/jumper style that includes elements of natural horsemanship and dressage. Her lessons are often balance oriented with a broad focus on improving skills. She teaches her riders to be the best they can for any horse, and any type of horse they might get on, as opposed to focusing solely on the rider or on a specific discipline. Fun facts: Andrea has a great dog, can grain SUPER FAST, loves Batman, and Eye of the Tiger is her self-selected theme song. Deysha believes that horses give people strength. This philosophy is reflected well by her calm and focused approach to teaching. Her primary goal is always to help the horse move better. Known for her versatile approach, she enjoys teaching students who have the horses’ best interest at heart and like learning the biomechanics of horse and rider. Deysha began riding in her early twenties when a good friend encouraged her to volunteer at Rock Creek. 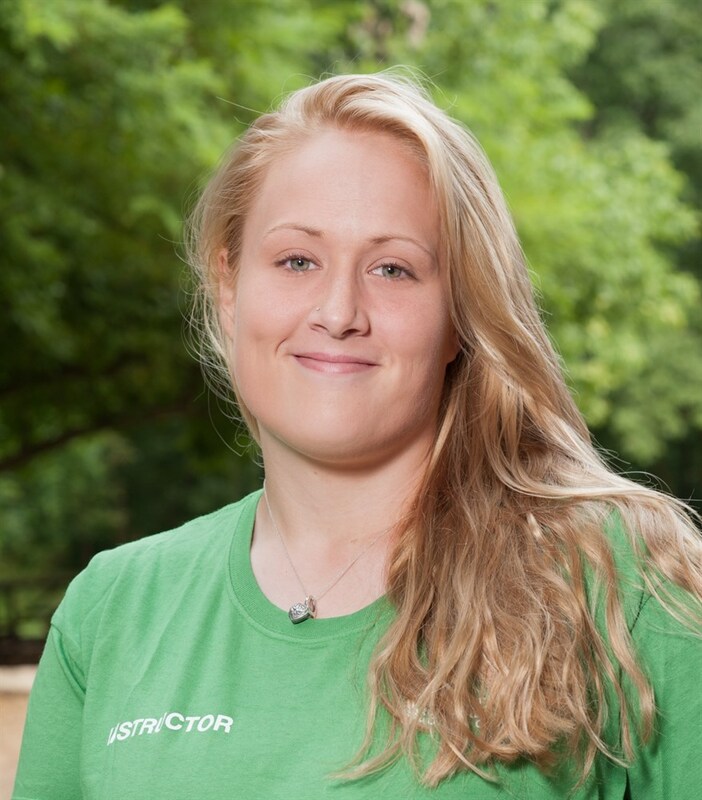 She was soon thereafter hired on as a barn staff member, later becoming an instructor. Her teaching style is based in principles of dressage as well as hunter/jumper. She holds a B.S. in Animal Behavior. Fun Facts: Deysha is also passionate about birds, animal behavior, music, books, dancing and learning Spanish. If her life had a soundtrack, her theme song would be Rebel Yell by Billy Idol.